A Reason It's Number Una! Planning your dream wedding can be hard work, just when what you want is to relax and enjoy the process with your loved one. Let us take a load off your mind: browse our hand picked selection of wedding and honeymoon destinations in Mexico, along with overviews of the attractions and hotspots of each area. 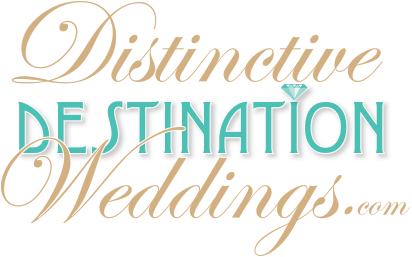 We also include a list of wedding planners at each location, so you can rest assured those stubborn organisational details are under expert control. Make your wedding an occasion that will stay with you for the rest of your life. Whether your preferences are on the formal side, or you prefer to let your hair down; whether you're in search of something natural, rustic and exotic, or smooth, well-run and professional: Mexico has it all. If it's a beach wedding you have in mind, the hotels of the Mayan Riviera make the perfect setting for an exotic Caribbean wedding, but offer all the comforts of luxury hotels and full catering. If you're planning something more simple and traditional, why not make your vows in a colonial church or temple in the beautiful cities of Guanajuato or Puebla? The wedding or honeymoon of your dreams has a lot to do with your interests and lifestyle: Are you and your partner on the formal, conservative side? or you prefer a casual, no frills life style? Are you always in search to be involved, use your creativity and think out of the box? or you want someone else to take care of every arrangement while you can continue with other important project? Whichever your personality and tastes, Mexico offers a wide array of destinations, venues, and wedding style that is just right for you and your partner. Click HERE for a detailed list of marriage requirements.